Many civic-minded residents turned out the Arlington Democratic caucus this evening at at Washington and Lee High School. 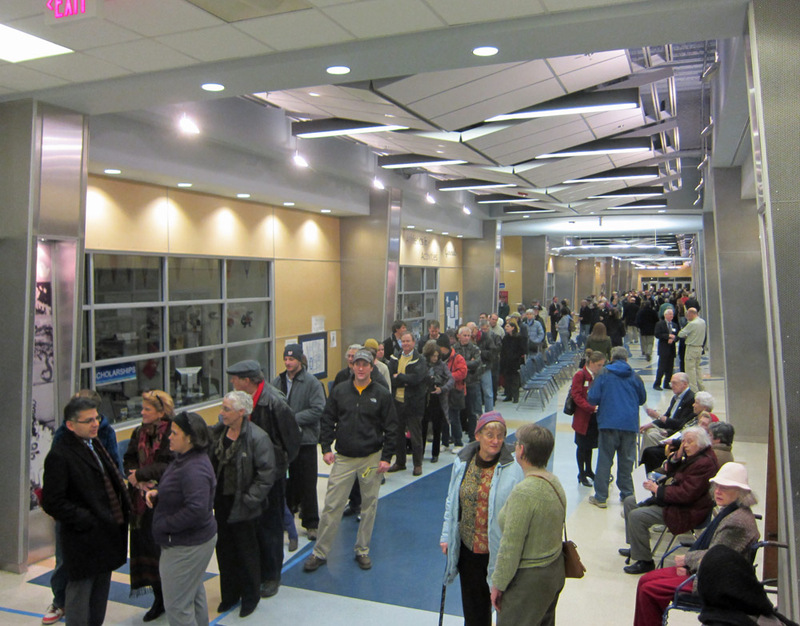 While there was a large line of voters, voting was well-organized and total time from in-the-door to out was about a half hour at 7:15pm. Voting continues until 9pm tonight. If you can't vote tonight, you have another chance to vote from 11 am to 7 pm on Jan. 21 at Kenmore Middle School. Many Arlington politicians, including all the candidates in this election, were greeting and talking with residents at the voting location. This caucus voting is a chance to meet informally in person the movers and shakers in Arlington politics. Don't miss it! Thanks for posting about the caucus! I was excited to vote for Kim Klingler last night.